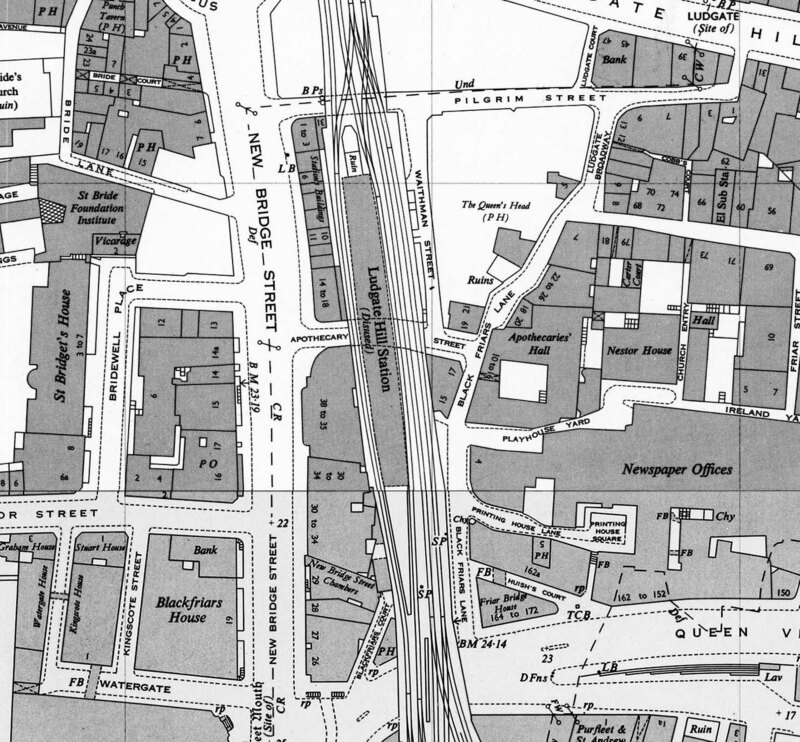 1951 1:2,500 OS map showing Ludgate Hill station as 'disused', 22 years after closure. The steps down to Pilgrim Street are shown as 'ruin'. Shops now line New Bridge Street on the site of the station forecourt; they are Nos. 1 - 18 Stations Buildings. The shading indicates the canopy which covers much of the platform apart from the south end. The two signal boxes shown on the earlier map have gone. These closed on 21 March 1926 and were quickly demolished.